Not often is the relevance of basic research immediately obvious. Although history is full of examples of how human curiosity led to discoveries that changed the world, basic research finds itself very often in a defensive position. Recent work from the Martienssen lab (Ong-Abdullah et al., 2015) is a brilliant example how basic research findings from two fields – plant floral development and epigenetics – pave the way to improve crop yield and eventually alleviate the deforestation pressure on tropical rain forests. This work very clearly illustrates the great importance of knowledge about genes steering flower development and the mechanisms by which plants defend their genomes. The paper by Ong-Abdullah and colleagues contributes to overcome one of the great disappointments of plant biotechnology – somaclonal variation. Some decades ago, in vitro regeneration and, in particular, somatic embryogenesis methods were developed to rapidly multiply elite genotypes. Such techniques can maintain favourable allele combinations, eg. in F1 hybrids, and are particularly valuable in perennial species with long juvenile phases. However, the great hopes that were connected to in vitro techniques were soon confronted by unwanted phenotypic variation in the in vitro offspring – so-called somaclonal variation. 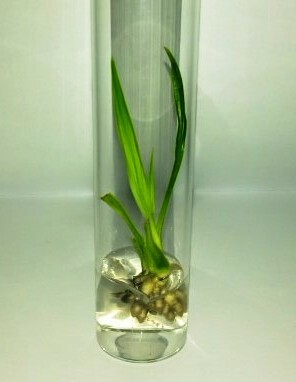 The African oil palm (Elaeis guineensis) is one of the major sources for plant oil and estimates suggest that somatic embryogenesis may contribute to 20-30% yield increase in this species. This is highly relevant because rain forest is cleared to increase the land available for oil palm cultivation to meet the growing demand for plant oil. Unfortunately, oil palm suffers from severe somaclonal variation with many plants derived from somatic embryos developing abnormal flowers that result in great yield losses (Corley, 1986). These flowers have carpelloid stamens and staminodes suggesting reduced B-class floral homeotic gene function. The phenotype was called ‘mantled’ and has escaped molecular understanding for several decades. Like many somaclonal variation effects, the mantled phenotype occurs in a stochastic manner and can sometimes revert. The non-Mendelian genetics have suggested an epigenetic nature of the effect. 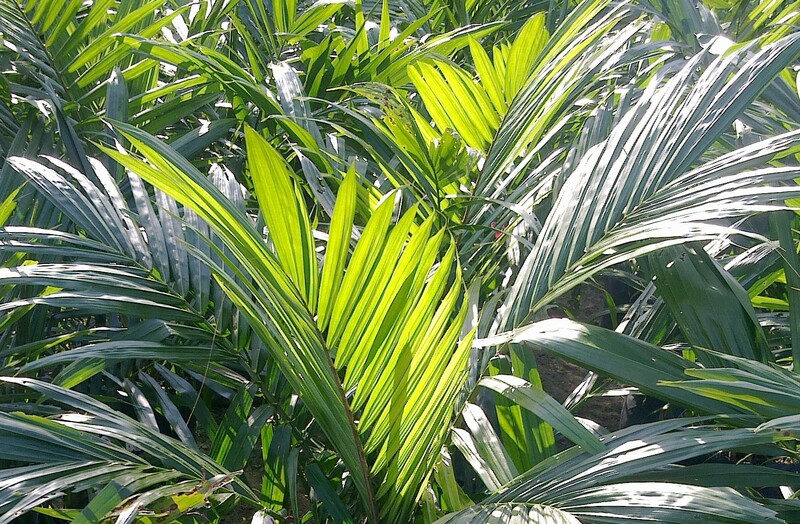 Mantled oil palms arise stochastically after tissue culture but appear symptom-free during the long juvenile phase of several years before first flowering. The work by Ong-Abdullah et al. (2015) shows that mantled plants are characterized by reduced DNA methylation on a transposable element (TE) related to the rice Karma element. In oil palm, the critical TE is located in a large intron of EgDEF1 – a homolog of Arabidopsis APETALA3 and snap dragon DEFICIENS, and a likely B-class floral homeotic gene. Loss of KARMA methylation affects EgDEF1 pre-RNA splicing and thereby creates an altered EgDEF1 protein that possibly could act in a dominant negative way to interfere with normal floral development. The mantled phenotype is fully consistent with reduced B-class function and the EgDEF1 gene has been studied as a candidate gene in mantled oil palms before (Adam et al., 2007; Jaligot et al., 2014). When is Karma methylation in EgDEF1 lost? Tissue culture often reduces DNA methylation but most of it is restored during plant regeneration. In some plants, however, DNA methylation at Karma was lost completely and not restored. Because DNA methylation loss appears to be stochastic, lost Karma methylation does not correlate with other methylation changes and phenotypes. This has made it impossible so far to predict the flower morphology at a young age. As a result of the work by Ong-Abdullah and colleagues, a diagnostic assay is now available to predict the flower phenotype at early age. Instead of growing affected individuals for many years until the flower defect is manifested by reduced yield, plants can now be screened at a young age. Land for oil palm cultivation can thus be used more efficiently, hopefully alleviating the pressure to increase the arable area. Although the evidence is compelling and the diagnostic fulfils the practical need, the formal proof that the defective EgDEF1 splicing and the altered EgDEF1 protein cause the phenotype is still missing. Likewise the mechanism by which altered DNA methylation affects EgDEF1 splicing has not been identified. It will be interesting to learn whether other cases of somaclonal variation after tissue culture also alter splicing of genes for developmental regulators. So far, EgDEF1 with Karma is the only well-documented locus connected to somaclonal variation but it is likely that locally reduced DNA methylation is involved in other cases, too. Karma was found using an association study design in which methylation states were profiled across the genome for populations of mantled and wild-type plants. The analysis landed right on EgDEF1, which was the only locus with DNA methylation consistently reduced in all mantled individuals. This approach can easily be used for other species and may in the future lead to the development of novel diagnostics, and reduce the detrimental effects of somaclonal variation in plant biotechnology. Finally, knowing the mechanisms behind DNA methylation homeostasis may allow developing cures for susceptible loci such as EgDEF1. As Ong-Abdullah and colleagues speculate in their paper, an engineered introduction of 24nt small RNAs targeted at the critical Karma region may re-establish DNA-methylation to a degree that mantled phenotypes do not develop and costly screening of plants is eliminated altogether. Implications of research are impossible to foresee – they may be wider and more exciting than anticipated! Corley, RHV (1986). Oil palm. In CRC Handbook of Fruit Set and Development. Monselise, S.P.Ed. ; pp. 253-259. CRC Press: Boca Raton, Fl. Adam H, Jouannic S, Orieux Y, Morcillo F, Richaud F, Duval Y and Tregear JW. (2007). Functional characterization of MADS box genes involved in the determination of oil palm flower structure. Journal of Experimental Botany 58: 1245-1259. Ong-Abdullah M, Ordway JM, Jiang N, Ooi SE, Kok SY, Sarpan N, Azimi N, Hashim AT, Ishak Z, Rosli SK, Malike FA, Bakar NA, Marjuni M, Abdullah N, Yaakub Z, Amiruddin MD, Nookiah R, Singh R and Low ET et al.. (2015). Loss of Karma transposon methylation underlies the mantled somaclonal variant of oil palm. Nature 525: 533-537. This entry was posted in flowering and tagged abnormal flowers, DNA methylation, EgDEF1, Elaeis guineensis, epigenetics, floral development, inflorescence, Karma, Lars Hennig, oil palm, somaclonal variation, somatic embryogenesis. Bookmark the permalink.